Creating and installing access lifts, among many other types of elevators, means that we get to witness firsthand the great architectural and design creations that you concoct in your day-to-day lives. Because of this, we’ve found ourselves to be somewhat awe inspired by all sorts of architectural innovations and have learnt a thing or two about the industry throughout our time. Just as the architects and interior designers among you strive to complete innovative projects, we pride ourselves on our ability to complement your work in the best way possible. For instance, if you have an insatiable appetite for creating interesting buildings, you can come to us to design a lift that meets your exact specifications. Although the nature of innovation is that something is brand new, here are a few things that we’ve discovered to be common among pieces of ‘innovative’ architecture. Ark Nova in Japan was designed by Arata Isozaki and Anish Kapoor. They created an inflatable and mobile concert hall from a stretchy plastic membrane that brought art to a country that has been devastated by earthquakes. Seating 500 people, it can inflate in less than two hours and be transported via truck once deflated. This example isn’t the only one that has been created for a place that is susceptible to natural disasters. One of the most famous examples is the Cardboard Cathedral in Christchurch by Shigeru Ban. He won the Pritzker Prize for his innovative architectural portfolio in 2015. In your own line of architecture, you could add some innovation to your own projects by incorporating technology that solves a certain issues. For instance, reusable energy solutions can be harnessed to help combat climate change. Architectural triumphs aren’t often referred to as ‘pretty’ or ‘ugly’, because they aim to be more striking than something that can be summarised with a bland adjective. 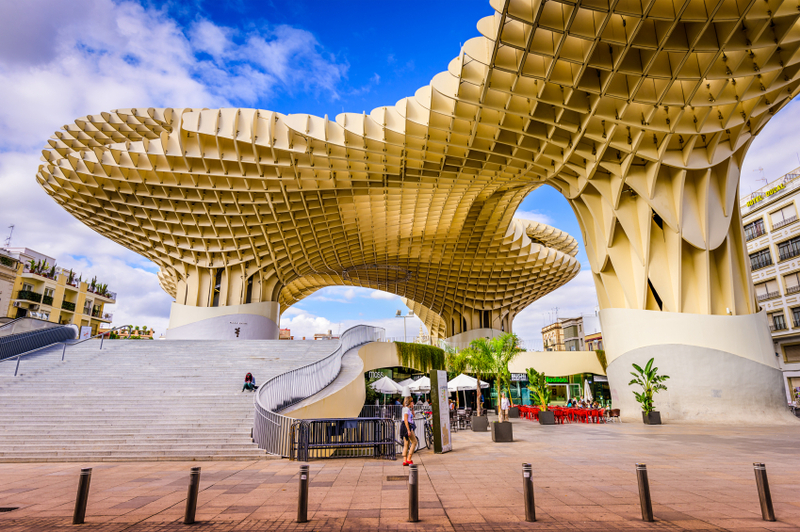 The Metropol Parasol in Seville, Spain, was a result of Seville officials wanting to replace the parking lot and bus station in the city centre. However, during this transition, they discovered Roman ruins beneath the surface. Designed by J Mayer H Architects, this structure was able to tick all of the boxes required; it has space for shops, shields visitors from the hot sun, and protects the ruins. The fluid design of the structure is the largest glued structure on Earth and is created primarily from wood. When it comes to creating a memorable piece of architecture, it’s important to think of interesting materials to use, unusual shapes, as well as ways that you can tie them all together to create something that is truly remarkable. Although the outside aesthetics of your project is your primary concern, incorporating the latest technology into your design is a sure way to impress onlookers and represent the ethos of the brands or people who are going to inhabit your creation. 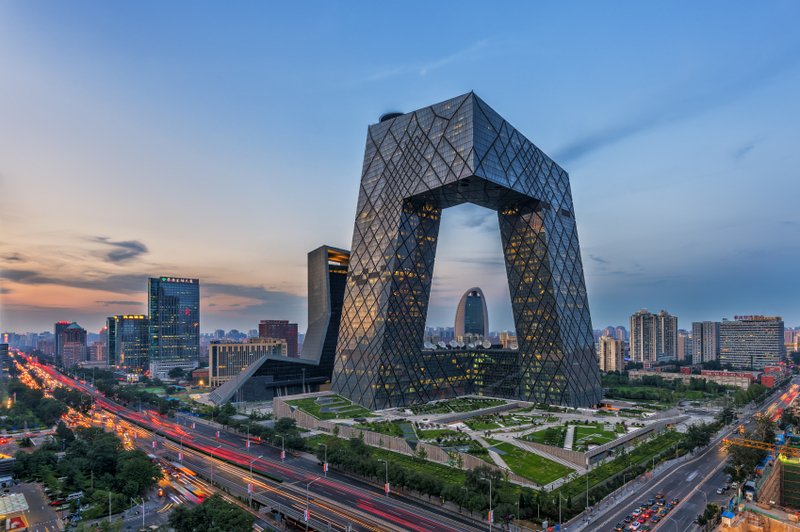 Housing a whole host of technology is the China Central TV Headquarters. The ‘loop’ style of the building is to interconnect the different aspects needed for their output. For instance, Tower 1 serves as an editing area, Tower 2 is dedicated to news broadcasting and the overhang area is for administration. It is, of course, also the home to elevators to make access between the different areas a lot easier! For more information about how we can complement your venture into creating a new and innovative building, please don’t hesitate to get in touch by calling 01200 315 025. You can speak to us about choosing an existing model from our eclectic range of lifts or crafting a bespoke model. You can also follow us on Facebook, Twitter and Google+ to keep up to date with all of our latest news.